Deeksha Camp was organised for X std students on 31.03.2018 and 01.04.2018. Totally 130 participated in this camp. 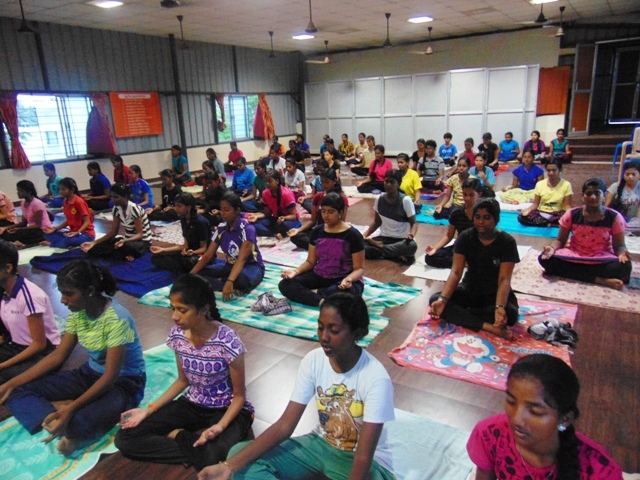 On the first day, the students were taken to Neduvarambakkam, Ponneri District for Uzhavarapani at Kalyana Veerabhadrar temple. The boys were involved in Uzhavarapani and girls were involved in survey. A questionnaire was prepared and given to the students to collect information regarding the occupation, literacy rate, their hobbies etc about the locality of the people. In the evening students rendered bhajan. This was followed by the session by Sri. Srinivasanji, Correspondent, Vivekananda Vidyalaya, Perambur. He addressed the parents on the topic “Service”. In the late evening the students exhibited their talents through skit on the importance of six petals of VES. On the second day, our Hony. Correspondent Sri. N.R. 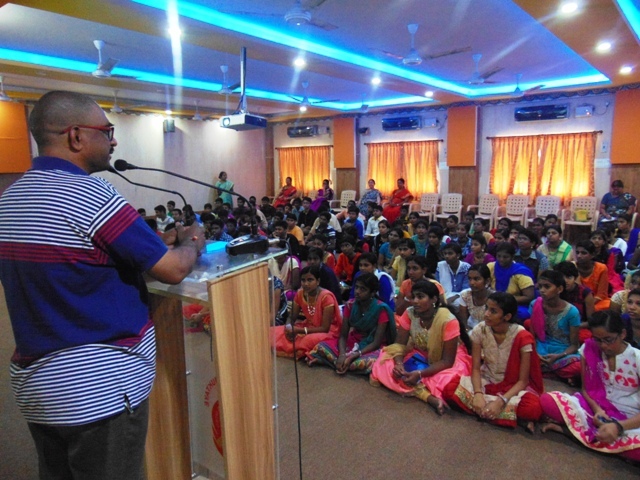 Narendranath addressed the students on the topic “Swadeshi”. In the fourth session, Sri. 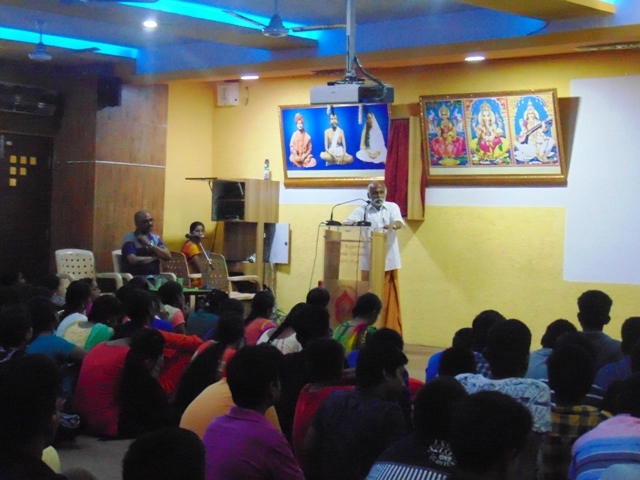 M.Veerabagu, Editor, Vijaya Bharatham addressed the students on the topic “Veera Shivaji”. After this session “Charlie Chaplin film” was shown to the students.